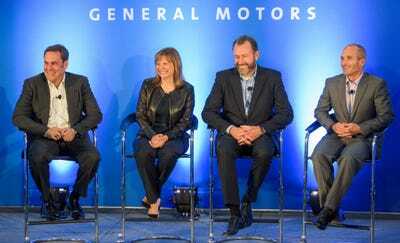 A decade after the financial crisis, General Motors is led by the best management team it’s ever had and one of the best C-suites in all of business. CEO Mary Barra, president Dan Ammann, and executive vice-president Mark Reuss have overseen the birth of a New GM that’s moving aggressively to define the future of transportation. Before its 2009 bankruptcy, GM was known for internal conflict, but the company is now a model of cooperation. 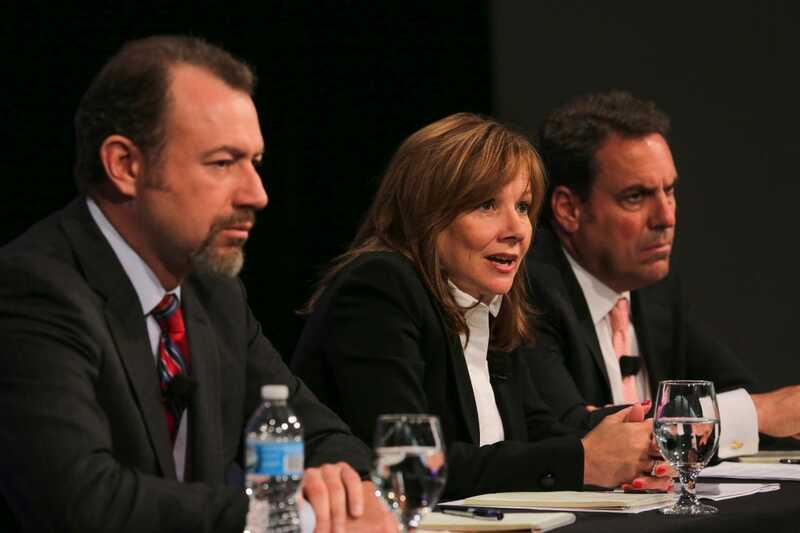 General Motors’ president, Dan Ammann, is a bundle of reconciled contradictions. When he laughs, it’s like Santa Claus has come to town. When he thinks, the pauses are intense. When he makes a joke or offers a wry observation, his wit is extra dry. Sitting in a small conference room at GM’s downtown Detroit headquarters, the New Zealand native and former Morgan Stanley banker is dressed in a familiar combination of jeans, sport coat, dress shirt, and Pumas, an anti-auto-executive look and evidence of Ammann’s role as GM’s point man in Silicon Valley. The bearded 46-year-old, who previously served as GM’s chief financial offer, is mid-pause in reconsidering a comment he made about his fellow top executives at the world’s second-largest automaker. “You have three very different personalities,” he says of CEO Mary Barra, executive vice-president and global product group president Mark Reuss, and himself. As with so many things about the guy, you understand that he’s telling you something rather important without giving away too much. I wouldn’t want to play poker with Ammann. I’d leave the table broke, but enlightened. 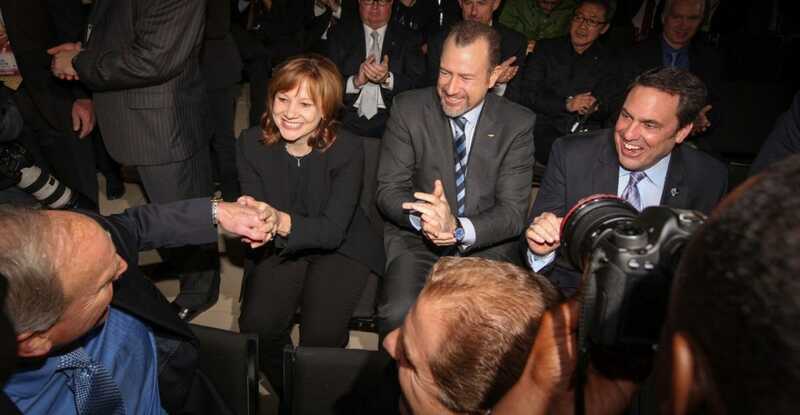 GMMark Reuss, Mary Barra, Dan Ammann, and recently retired CFO Chuck Stevens. Until the recent retirement of Chuck Stevens, 58, as GM’s CFO after a four-decade tenure at the company, Ammann was one-quarter of the best management team in the auto industry. And, in the view of many, the best management team the 110-year-old behemoth, with 180,000 employees spread across the globe, has ever had. Barra, 56, and Reuss, 55, are both GM lifers from GM families (she joined in 1980, and he came on as a student intern in 1983). Ammann is the new guy. But in many respects he seems like the oldest member of the team. His studied circumspection stands in contrast to Reuss’ gruff cheerfulness, his passion for the culture of the automobile, and Barra’s empathic precision, counterbalanced with a usefully intimidating forcefulness. Different personalities indeed. Amman is the intellectual, Reuss the enthusiast, and Barra the embodiment of the new GM, the giant corporation’s post-bailout, post-bankruptcy incarnation. GMThe team isn’t always all smiles, but they’re having fun. The generalization is slightly unfair, but the point is that the trio actually isn’t divisive. If this were the old GM – the company that thought what was good for America was good for General Motors – that might be the case. That’s because the old GM was organised for conflict, with division heads fighting it out for resources and the mothership often lost in a labyrinth of ruinous financial complexity. Instead, the current team is a model of earnest conflict transmuted into productive collaboration. If you’d quit paying attention to GM a few decades ago, you wouldn’t recognise the carmaker these days. If crosstown rival Ford is family, with all the issues that implies, then GM is a country. Until Barra’s arrival, that assessment was true: Chapter 11 has chastened GM, but in 2010 the company still swaggered into the largest initial public offering in US history. The temptation was for GM to stage an imperious return to the corporate stage. Barra, who had run both entire factories and human resources before being tapped by the board to become CEO in 2014, wasn’t going to stick to that script. Before the financial crisis, GM believed itself to be indispensable. Barra, better than anyone, knew that was false. GM wasn’t an empire. It was a fragile, if enormous, group of people who had to work together to survive and prosper. That survival was immediately threatened. As soon as Barra became CEO, GM was embroiled in a massive recall caused by a single, innocuous yet ubiquitous part: an ignition switch whose malfunction led to 124 deaths, 275 injuries, and cost the company in excess of $US2 billion. She persevered, however, and luckily she had four years of working with Ammann and Reuss to draw upon. GMGetting GM up and running after bankruptcy was serious business. While the banking crisis that had triggered the Great Recession had largely been resolved in 2010, the US auto industry was reeling. Annual vehicle sales in 2009 had fallen to a staggering 10 million, a harrowing plunge for a market that had peaked above 17 million in prior years. Chrysler also had to be bailed out, and after its own bankruptcy was rapidly merged with Fiat in a desperate rescue undertaken by the Fiat CEO Sergio Marchionne, who died unexpectedly this year. Ford had avoided restructuring when then-CEO Alan Mulally had presciently mortgaged the company to raise $US24 billion, but its stock value fell below $US2 a share. GM CEO Rick Wagoner had effectively been fired by President Barack Obama when the government took a substantial equity stake in GM and organised bankruptcy financing. A succession of CEOs followed: Fritz Henderson, Ed Whitacre, and Dan Akerson. (The carmaker had just 10 CEOs before the financial crisis). Externally, it was unclear the car business would recover. But Barra, Ammann, and Reuss weren’t panicking. They were also revamping the automaker’s byzantine financial system, which Obama administration “car czar” Steven Rattner, head of the Auto Task Force, had labelled as epically disorganized. “We learned where we were making money and where we weren’t,” Ammann says, adding that GM also greatly streamlined its internal finances. That process empowered Barra and Ammann to make long-overdue decisions, such as selling GM’s perennially underperforming Opel-Vauxhall division in Europe to Peugeot in 2017. For Barra, return on investment became a mantra. There were no sacred cows, even brands that had been part of GM for decades. GMFormer CEO Dan Akerson called Reuss — a skilled driver and racing enthusiast — the soul of GM. Ammann also spent a lot of time with Reuss as part of a travelling “road show” for investors before the IPO. Reuss for a time had been in charge of GM’s Australian and New Zealand operations, so he and Ammann could bond over their common experiences in the Southern Hemisphere. They also shared an arid sense of humour and a love of fast machines. 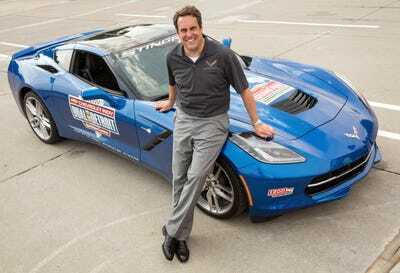 The latter is an affection they both recently indulged when they drove the new 755-horsepower Corvette ZR1 at Germany’s famed Nürburgring track. (Reuss is well known for his skill behind the wheel, and if you ask around, people will tell you that Ammann is no slouch). They might like to go fast, but they’re dead set against getting cocky, even as GM has posted over $US70 billion in profits since the IPO. Dissatisfaction doesn’t lead to unresolved disagreement, however. 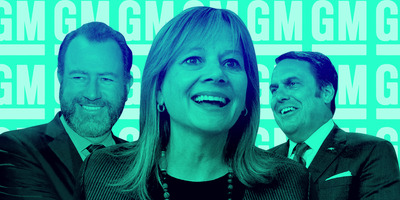 The core concept for all three executives is trust, built on a mutual respect for what Barra calls “leveraging diversity of thought.” That’s critical because GM is huge; it combines manufacturing, financing, and technology on a mass scale, so it’s always grappling with what Reuss calls’ “big, complex problems.” That requires frequent communication. Their diversity shows up in obvious ways. Ammann obviously prefers a more casual wardrobe, while Barra favours subdued, tasteful ensembles. Reuss is usually wearing a sharp suit, elegant shoes, and a wristwatch from his collection. Barra has enormous respect for Reuss’ vast automotive knowledge and admires Ammann’s ferocious ability to learn and learn fast. She considers Reuss the best car guy in the business, recollecting that Dan Akerson called him the soul of the company. And she says that Ammann conducts himself as though he’d been at GM for decades, not just for eight years, thanks to his willingness to go everywhere and meet everybody. General MotorsAmmann, right, with Cruise CEO Kyle Vogt. Their views have rubbed off on her and now shape her leadership style. “One of the words Mark hates is ‘compete,'” she says. A word he likes is “win,” and Barra has translated that attitude into something of a mission statement. GM has been doing plenty of winning since 2010, but, yet again, when I ask Reuss if it’s pat-ourselves-on-the-back time, he looks at me as if I were insane. Being the largest automaker in North America and No. 2 in China – the world’s biggest markets, comprising 14 million in new-vehicle sales for GM in 2017 – certainly counts for something in Reuss’ book, and he’s proud of how far the company has progressed. But he refuses to relax, and he hasn’t given into the temptation to rest on his accomplishments since a tough day over 25 years ago, when his father, Lloyd Reuss, at one point a candidate to become GM’s CEO, was fired. The son, then just starting out at the company, had to make a difficult decision: Stay or go? He stayed, but it wasn’t a party. GM struggled through profitless years leading up the bankruptcy. When Reuss was in Australia, he and his team were essentially running GM’s business there with whatever money came in the front door each day, as the financial crisis dried up corporate credit. Post-bankruptcy, as GM shed brands, there were serious questions about whether it would be able to match the Japanese and German automakers, not to mention the upstarts, with innovative new technologies. For a few years, GM’s most profitable vehicles, large pickup trucks and SUVs, were out of favour, as rising gas prices sent customers looking for small cars, hybrids, and even Tesla’s all-electric vehicles. Bill Pugliano/Getty ImagesBarra and Reuss revealing the Chevy Bolt in Detroit. If Ammann is focused on creating a fleet of cars that can drive themselves and begin ferrying humans around big cities by next year, Reuss’ main job now is to make sure that GM doesn’t get beaten in the race to build the cars of the future. The money is flowing from the fat margins thrown off by resurgent pickup and SUV sales, but neither Ammann, Barra, nor Reuss – especially Reuss – have any illusions about the fate of the internal-combustion engine. It might be with us for a bit longer, but GM’s destiny is electric. 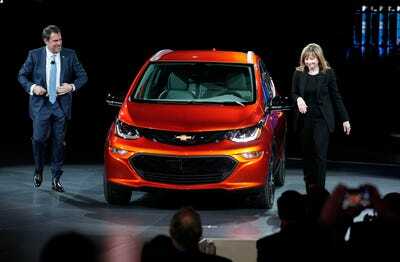 This isn’t exactly news to Reuss, who was around in the 1990s when GM created the EV1. But with China’s market expected to surpass 30 million in annual vehicle sales, on the road to as many as 40 million, his challenge now is to execute on the carmaker’s plan of rolling out 20 new electrified vehicles by 2023 – the biggest transformation in the company’s history. With the Chevy Bolt, an EV with a 238-miles range that starts at $US37,500 and has been on sale for over a year, GM has made an impressive start. But Reuss, in particular, understands that the electric car’s hurdles in the marketplace remain as much psychological as technical. Bill Pugliano/Getty ImagesBarra has made tough calls at GM, calls that had been avoided by previous leaders. 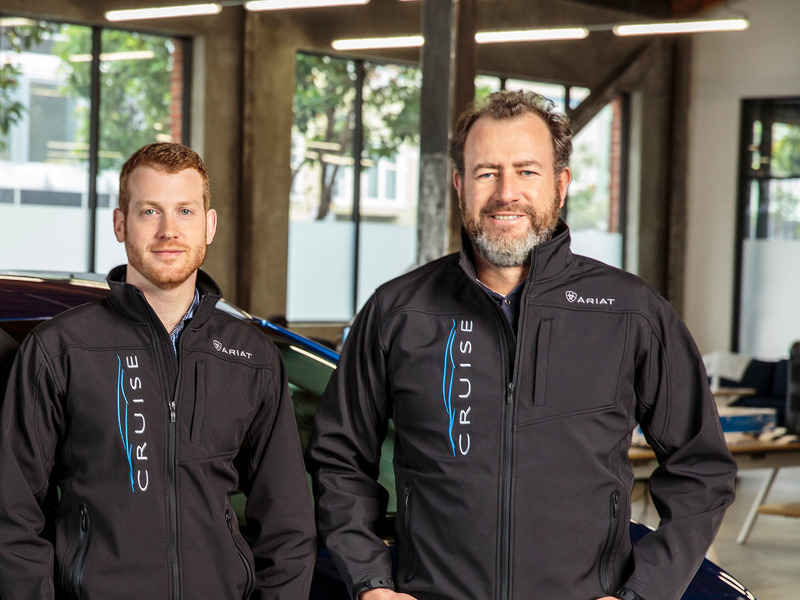 Reuss, Ammann, and Barra know that since 2010 the auto industry has enjoyed nearly a decade of expansion, and that booming sales can’t last forever. A downturn will arrive, and as skillful as the team has been so far, the real test is over the horizon. Reuss has seen his share of recessions and is unflinching about what’s in store for him and colleagues. He knows they won’t find out if they’re truly up to the task of running GM until the business gets hard. 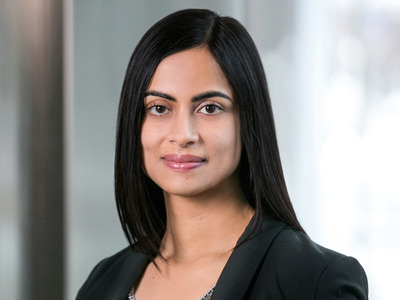 For her part, Barra, whose father worked at a GM plant, guards against overconfidence and regularly meets with GM’s board to review models of downturns both moderate and severe. The worst aspect of this difficult yet important task is uncertainty. According to Reuss, the team isn’t locked into a war-room mentality. A thornier issue is the question of why GM’s stock price has languished for years. Shares are down 30% over the past 12 months, while the S&P is up 10%. 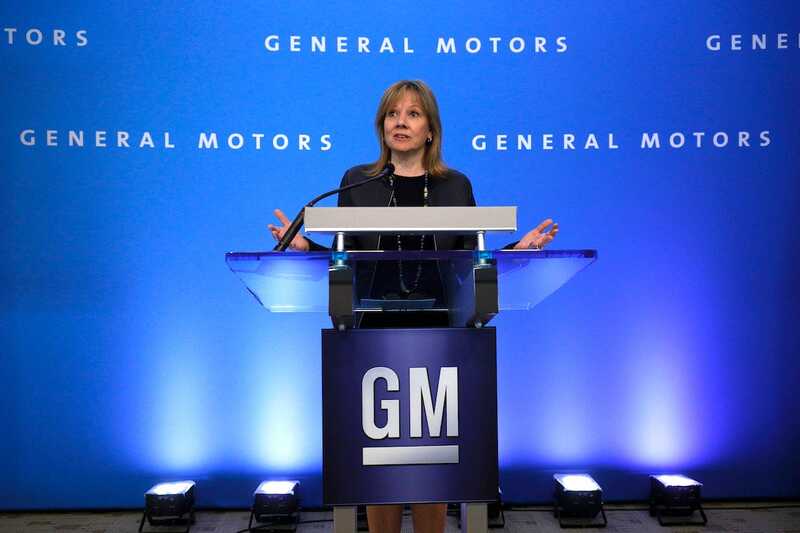 Barra has presided over a stock-buyback program that’s returned billions to shareholders as GM has raked in cash, and the dividend has remained uncompromised and relatively risk-free at 4%. Still, Barra has had to fight off two shareholder agitations since 2015, the most recent from Greenlight Capital’s David Einhorn. The hedge fund wanted GM to create two classes of stock, one for fixed income, the other for growth. The company argued that the scheme would undermine its investment-grade credit rating, curtailing its financial options in a sales downturn. The proposal was voted down. Stock prices matter. Ford CEO Mark Fields was ousted in 2016, replaced by former Steelcase CEO Jim Hackett. But Ford’s shares have continued to slide, and the carmaker’s market capitalisation has dipped below Tesla’s. Wall Street considers the auto industry to be capital-intensive, growth-constrained, and forever vulnerable to market cycles. Since Tesla’s 2010 IPO, it’s built a few hundred thousand cars and never posted an annual profit. By contrast, GM has, in the same period, built tens of millions of vehicles and made over $US70 billion. But Tesla shares are up over 1,000% and GM’s are down 5%. 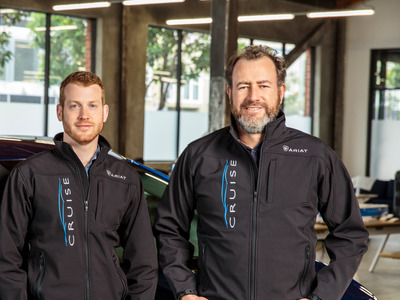 Ammann can point to the almost $US15 billion in previously unrealized value that Cruise has added to GM as an enterprise, while Reuss insists that the only way for GM to move the needle on the stock price is to prove to investors that it can do what it says it will do. “It’s frustrating, but I don’t think anything but results is going to change that,” Reuss says. Almost 10 years on from the worst episode in GM’s history, I was reminded as I spoke to Barra, Ammann, and Reuss about a winter visit I’d made to the Detroit headquarters in the years leading up to the bankruptcy. It was freezing cold and there was ice in the Detroit River. At a restaurant, a group of businessmen I overheard were lamenting their trip to Motown. “It used to be fun to come here,” one of them said. GM wasn’t concerned with fun back then. For a century, it had been loved and feared, admired and resented, praised and attacked. The idea that it could all go away was unthinkable. But then the unthinkable happened. And when the new guard took over, it was clear from the outset that Barra and her team wouldn’t revert to business as usual. But here’s the thing: Old GM thought of itself as the toughest company on the planet. If somebody thought it was a fun-free zone, too bad. But the old GM didn’t know tough. And Barra, Ammann, and Reuss have proved that making some of the hardest calls in modern business, while taking some of the biggest risks, means that fun and tough can coexist. GM has made it through two world wars, drastic shifts in the global economy, the Great Depression, and the Great Recession. But the biggest changes have come since the company rose for the ashes of bankruptcy, and although they won’t allow themselves to take credit, Barra, Ammann, and Reuss – and Chuck Stevens, from the comfort of his well-earned retirement – would be forgiven if they did.